Price: Around £10 in the UK and $14.50 in the US. A set of 5 double-pointed knitting needles, with a unique “square” shape, supposed to result in increased comfort and more uniform stitches. I’m reviewing these needles because Deann sent me them over from the US. This particular set was slightly too short for her taste so I’m trying them. The set I have are 12.7 cm (5 inches) long, and in size 3.75 mm (US 5). At first I thought they might be quite heavy to work with being metal, but they aren’t at all. They are made of aluminium and light and warm to hold. 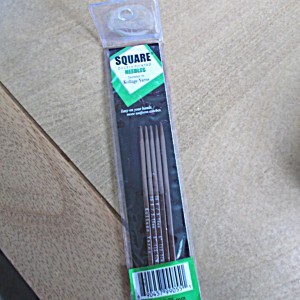 I had never used square needles before so it was something new for me. The knitting action is wonderful, they glide beautifully yet still manage to grip the stitches enough not to be sliding in and out of the work too much. 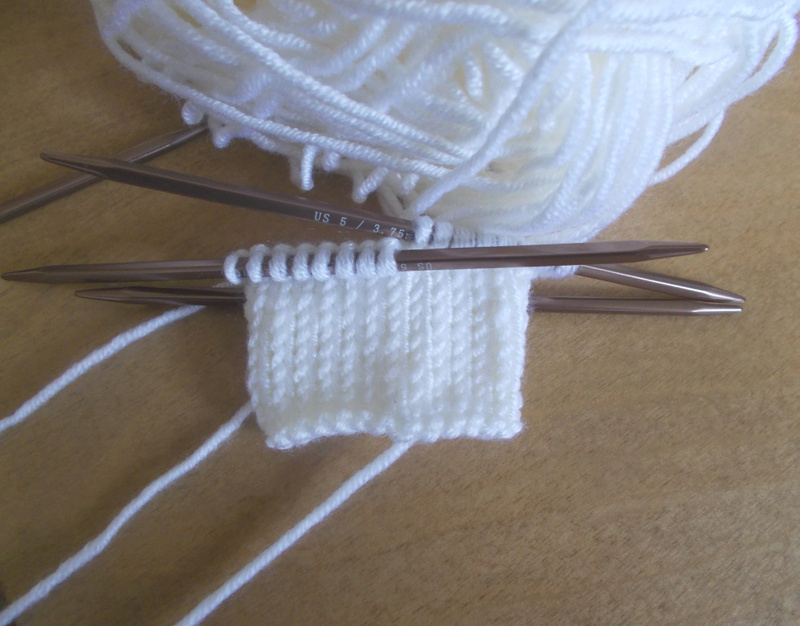 The points are not too sharp for getting into stitches, so perhaps not ideal for intricate lace knitting, but decreases and increases are not too troublesome because of the smoothness of the needles. I have road-tested them thoroughly! I used these needles to make an entire cuddly toy for a new pattern I’m creating which is mainly worked in the round, and it just went like a dream and I was very happy with the results. I absolutely love them. 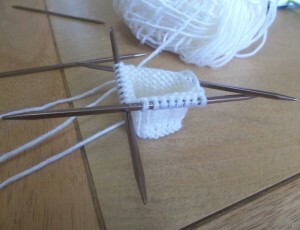 I’ve knitted a small sample piece here in white in the photos to show you how the knitting comes out for me. Which I am very happy with. Sometimes I have to work a little to avoid ladders between dpns but with these the transitions between the needles were totally effortless and the fabric comes out looking good. These are well worth the price and I would love to have them in all the sizes I can get hold of! 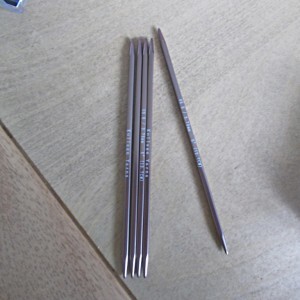 I already enjoy knitting with DPNs and these make the experience even more enjoyable for me. 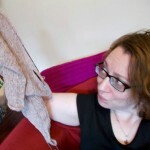 PROS: Comfortable, light, hold stitches well, smooth knitting action.